Making financial decisions as you near retirement can feel a bit uncertain without a plan you understand. 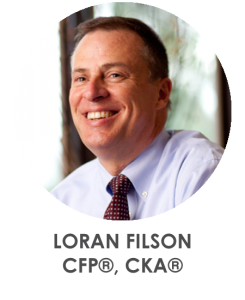 As a husband, father, and active member in his community, Loran understands how important it is to have a clear plan in place to ensure you’ll thrive in retirement. In fact, that’s why for over 20 years he’s helped clients restore confidence in their financial future using FAC’s proven investment management process. Having met in college, Loran and his wife Sherri have been married for over 30 years and have two adult children. Originally from Indiana and a native Hoosier, he now considers West Michigan home after moving here over 20 years ago.